The Food Lovers Fat Loss System is touted as the no-diet weight loss plan for people who love to eat. Developed by a company called Provida with certified nutritionist Robert Ferguson, MS, it is a relatively simple diet plan focused on pairing the right foods and eating every few hours. Dieters learn about fast and slow carbs and how to pair them with lean protein and healthy fats on the Fat Loss Plate. Dieters can expect to lose up to 3 pounds per week, depending on starting weight. The foundation of the diet is similar to other healthy diet plans that promote plenty of non-starchy vegetables, fruit, whole grains, lean proteins, low-fat dairy, and healthy fats in controlled portions and combinations. It can be modified for vegetarians and is diabetes-friendly and heart healthy, Ferguson says. The plan starts with the 21 Day Metabolism Makeover, followed by the Food Lovers for Life long-term maintenance diet plan. Promotional materials lead you to believe this diet revs metabolism and green lights all the wrong foods. "Eat all your favorite foods, at every meal and reduce your waistline" is one of the somewhat misleading claims on the web site that overpromises the actual diet. Most favorite foods, like the piece of chocolate cake pictured on the web site, are allowed in the maintenance phase and only in controlled portions when paired with other foods. What's more, dieters are encouraged to skip the chocolate cake altogether and choose sugar-free alternatives. Eating the right combination of protein and specific types of carbs is designed to teach dieters how to combine foods on the fat loss plate to, according to the plan, "speed up metabolism, which helps burn fat." Fast carbs quickly convert to sugar and increase insulin levels, whereas the preferred slow carbs are metabolized more slowly without spikes in blood sugar and insulin. The plan's secret is managing carbs and eating them with protein to blunt the effect on blood sugars and insulin. Ron Dudek, PhD, an obesity and diabetes researcher at East Carolina University and a consultant paid by Provida to review the plan, says you can turn your body into a fat-burning machine with the right foods. "When you overeat carbs, as most Americans do, it triggers a rise in blood sugar and a rise in insulin, which is the culprit for obesity because insulin promotes fat deposition. When you control carbs, pair them with lean protein, insulin does not spike and your body then burns the fat instead of depositing it," Dudek says. 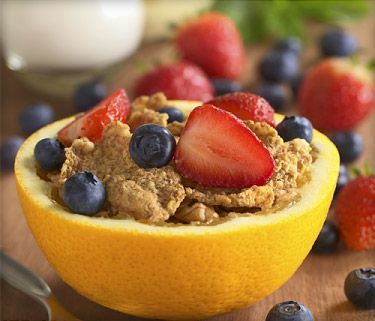 Weight loss is jump-started in the 21-day Metabolism Makeover, the core of the diet plan. Each day, the plan unveils a simple diet strategy to help dieters develop healthy lifestyle habits that support long-term weight loss. Habits like keeping a food, water and exercise log, eating breakfast, controlling sodium, choosing healthy fats, drinking lots of water, finding a buddy, eating more fiber, and getting enough sleep are just a few examples. Dieters eat three meals and snacks every 2-3 hours using the Fat Loss Plate with approved foods in proper portions. Most meals contain about 15 grams of protein and 30 grams of carbs and total calories vary but are never less than 1,200 for women and 1,500 for men. Dieters are instructed to drink 12 8-ounce glasses of water daily, plus 8 ounces for each 20 minutes of exercise. Allegedly, the excessive amount of water will release 5 pounds of fat in a month. "There are not studies to document this fat loss to my knowledge; however, it is not bad advice, especially for people who drink a large portion of their calories, to switch to water," says Dudek. Exercise is part of the plan, which includes workout videos. More than just the 21 Day Metabolism Makeover and Food Lovers for Life diet plans, the mail-order package ($139.99) includes workout and motivational videos, menu planner, cookbook, success journal, eating out advisor and online community support is also available. One tablespoon of healthy fat is allowed per meal only with lean protein and low-fat fast carbs. For the first five days, snacks are either one portion of a whole food such as an apple or any food that doesn't exceed 150-250 calories. "Accelerator snacks," which are recommended starting on day 6, must also contain at least 7 grams of protein. The plan involves using the "fat loss plate" in one of three variations. Limited amounts of coffee, tea, diet drinks, and club soda are allowed. Foods not recommended because, according to the plan, they are likely to slow metabolism: white, bleached, and enriched flours; alcohol; soda; saturated fats; trans fats; partially hydrogenated oils; high fructose corn syrup and other sugars; foods high in sodium; and most processed foods. The plan's five-week Food Lovers for Life phase is a little more liberal. It's a maintenance plan that follows the three-week initial phase. Alcohol, refined flour, sugar, and fried foods are allowed in this phase but are strongly discouraged. For example, instead of eating deep-fat-fried foods, dieters are encouraged to eat oven-fried foods. "At the core, this diet is similar to what I recommend for weight loss," says Marisa Moore, MBA, RD, LD, a spokeswoman for the Academy of Nutrition and Dietetics (formerly called the American Dietetic Association). "There are lots of good aspects to the Food Lovers Fat Loss System, but it is gimmicky and makes unrealistic promises like your metabolism will be faster or more efficient after 21 days, which is not grounded in scientific evidence." Dudek gives it a thumbs up. "The real important part of the eating plan is the reduction in the amount of carbohydrates and learning to make a Fat Loss Plate, the rest is frosting on the cake," he says. The plan recommends taking a daily multivitamin, which may be needed to cover nutrient shortfalls. It also recommends, but does not require, certain "fat loss" supplements, including omega-3 fatty acids, flaxseed, and protein powder. However, those supplements do not optimize metabolism or promote fat loss. Two of the "fat loss" supplements -- borage oil and the "5 Way Metabolic Fat Fighter," raise a red flag for Moore. "There are no studies to support the effectiveness of the 5 Way Metabolic Fat Fighter or borage oil," she says. Individually, some of the ingredients may promote weight loss, but Moore does not recommend the supplement because there is a lack of evidence that it is safe and effective. "There are no magic bullets to weight loss, but these supplements may not be a bad thing to add to your diet," Dudek says. "Borage oil is an anti-inflammatory agent, and some of the ingredients in the 5 Way Metabolic Fat Fighter may have a minimal effect." Moore's advice: Save your money, follow a healthy diet plan from My Plate, and skip the weight loss supplements. "Weight loss supplements do not help dieters develop critical lifestyle changes that are the real key to dropping pounds and achieving lifelong health," Moore says. Once you get beyond the promises, the Food Lovers Fat Loss System is a healthy calorie and portion-controlled plan with an emphasis on eating lean protein, healthy carbs, and healthy fats. It is rewarding for dieters to know they can enjoy their favorite foods, even if only in small quantities. Overall, the meal plan appears balanced and sustainable long-term, yet may be deficient in nutrients such as calcium, vitamin D, and magnesium. Losing weight is challenging, but if you learn how to choose the right foods and eat them regularly, weight loss should be easier. Eating the right food combinations will keep you full and satisfied so gnawing hunger won't derail your diet. Marisa Moore, MBA, RD, LD, spokeswoman, Academy of Nutrition and Dietetics. Robert Ferguson, MS, CN, author, Diet-Free for Life; consultant on Food Lovers Fat Loss System. Ron W. Dudek, PhD, professor, East Carolina University.